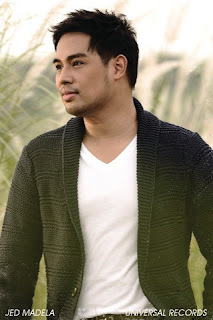 The Intersections & Beyond: Jed Madela launches 7th album, "Breathe Again"
Jed Madela launches 7th album, "Breathe Again"
World Champion Jed Madela launches his newest album “Breathe Again” on October 13, 2011. A mainstay in A.S.A.P. Rocks, a Sunday variety show on ABS-CBN, Jed has sold thousands of records reviving some of the most memorable ballads in his previous albums. With this 7th album, Jed promised to record new songs. “I am keeping my word, promise. It took some time because I really want to give you something exceptional and incomparable,” says Jed. The album, composed primarily of beautifully-written original songs, exhibits his versatility and range as a singer and a performer. I have admired Jed’s voice and talent since his first album, “I’ll Be Around” (2003) and I always look forward to his powerful performances on A.S.A.P. Jed made our country proud winning 6 Golds in all major categories in the 2005 World Championship of the Performing Arts (WCOPA) in Hollywood, California. He bested over 3,000 contestants from 52 countries to win the grand prize. “I have set a tight standard when I chose each song for this album. These new songs will make everyone… Breathe Again,” Jed assures. "Breathe Again" is a beautiful ballad that speaks about the different facets of love- its ups and downs, joys and pains. When asked to describe some outstanding tracks in the album, he describes “Larawan” as something vocally-challenging, while “Ikaw Na Lang Ang Kulang” as a stirring ballad. Jed also tries interpreting more upbeat songs as he performs "I Have You Here" and "We’re Having A Party." Aside from the nine original songs, there were also requests for Jed to record some revivals. Kris Aquino asked Jed to record Fra Lippo Lippi’s "Later." 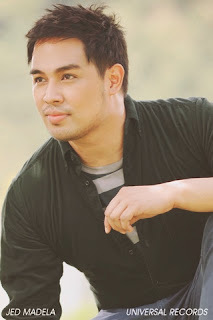 Jed also revived Lani Misalucha’s "Bukas Na Lang Kita Mamahalin," Peabo Bryson’s "If Ever You’re In My Arms Again," Barry Manilow’s "I Made It Through The Rain," and Fantasia Barrino’s "I Believe," which made Jed trend when he performed the song on ASAP Rocks. 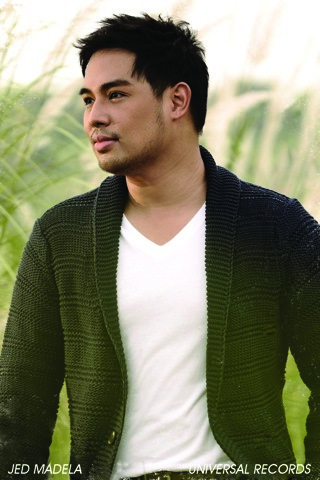 Jed Madela wants to share his talents by mentoring other singers. One way that this could be possible if he would be given a chance to be a judge in a singing or talent competition. He believes that he has a lot to share to others especially the younger generation. Of his musical influences, for local singers, he considers Martin Nievera and Gary Valenciano. For foreign singer, he admires the late Luther Vandross. “He sings with so much passion,” Jed asserts. Jed has been preparing for a special concert called "Beyond Expectations" on November 26, 2011 at the Cultural Center of the Philippines with Ballet Manila, Gary Valenciano and Martin Nievera as guests.